Each year an annual chimney maintenance program should be scheduled especially if you have a wood or gas burning fireplace. Your boiler is constantly running year round and the chimney should be inspected and swept annually to ensure proper functionality and safety. Areas in the Northeast, especially like New York experience all types of varying temperatures and weather conditions year round, which greatly affects a chimney's condition. Storms, heat exposure, and freeze and thaw cycles are factors that contribute to the deterioration of a chimney until cracks start forming in the cement and brick. An occasional chimney maintenance program can identify these faults and prevent hazardous and expensive problems from developing. Contact a reputable chimney maintenance professional like Chimney Repair NY 1-877-952-7425 for assistance or submit a Free Chimney Maintenance Quote. It is very important to contact a certified chimney specialist like Chimney Repair NY 1-877-952-7425 to ensure that chimney maintenance and repairs are performed properly with caution and safety in mind. When inspecting your chimney, it is essential to examine the chimney and liner to make sure there are no defects or cracks that could leak toxic fumes into your home and cause carbon monoxide poisoning. A proper chimney inspection will also indetify any cracks in the cement, mortar, and loose bricks. It is not uncommon that chimneys can deteriorate with falling bricks and collapse without any warning. 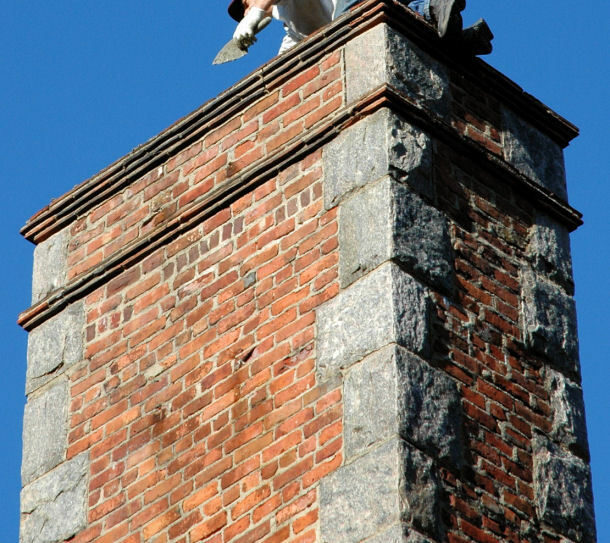 Chimney maintenance is an important aspect of owning a home and should not be neglected. If repaired early enough, repair costs would be significantly less than letting problems accumulate and magnify over time. Keeping your chimney well maintained will improve the efficiency of the heating system and eliminate hazards. Call Chimney Repair NY 1-877-952-7425 or request a Free Chimney Maintenance Quote today for inspection with wood and coal stoves, fireplaces, chimneys, chimney connectors, and all other solid-fueled heating equipment in residential homes and commercial buildings.